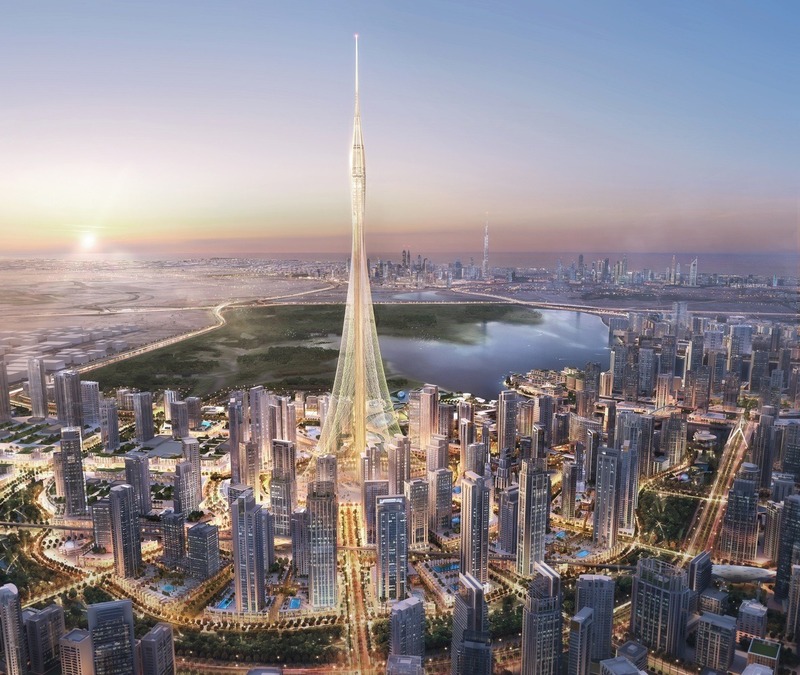 With a new mega tall project, Dubai intends to defeat its own title of being the home of the world’s tallest building. After the completion of the 828m high Burj Khalifa in 2010, Saudi Arabia started the construction of the Jeddah Tower which –once completed- will be 1007m high. Dubai’s answer is the Creek Tower. 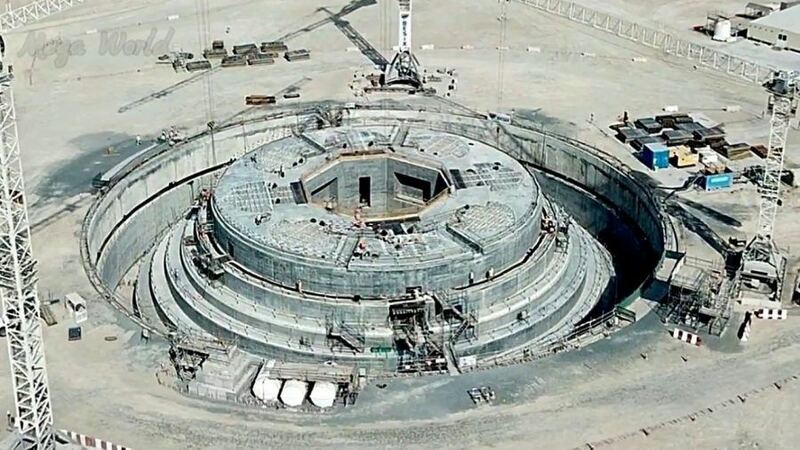 The 75m deep barrettes for its foundation are already inserted and the tower’s completion is expected in 2020. The developer EMAAR officially talks about a height of only 828m+ but it can be anticipated that – should the tower in Jeddah be completed before – the Creek Tower will bring the title of the World’s tallest building home to Dubai. According to uncorroborated sources the final height of the Creek Tower will be 1300m. The design comes from the Spanish-Swiss architect and engineer Santiago Calatrava and will be the centerpiece of the Dubai Creek Habour development, a new downtown district with a mega-mall. Its skyline is located at the other side of the Dubai Creek. 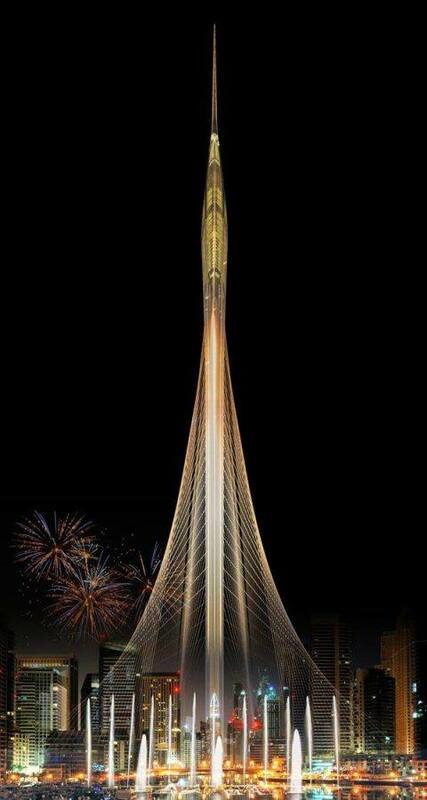 It is said that the form of the tower is inspired by the form of a desert lily but the tower looks more like a rocket ready for take off after releasing the anchor cables. After approximately 800m the stretched lift shaft thickens to a blossom, rather a rocket head, which allows for the usage of approximately only 30 stories. Beside several observation decks, restaurants and a boutique hotel, there is talk about the world’s highest mosque. This would allow one to arrive a little late for evening prayers due to the sun setting a few minutes later at 1000m altitude. Dubai has always proven a lucky hand with its iconic mega-projects. Without question, the Dubai Creek Tower will be the new crown jewel in the emirate’s skyline after completion. The announced completion date for EXPO 2020 seems to be questionable. But with a slip-form, it would be possible to cast over 3,5m of concrete per day. After the completion of its foundations, that certainly swallowed up quite a percentage of the total one billion US Dollar project costs, everybody is now excited to see the tower finally growing.